Mark self-published Wooing Customers Back and it became a bestseller within two years. The book was among the few self-published works carried in Barnes & Noble stores in 1995. Now in it’s 3rd edition, Wooing Customers Back has enjoyed popular success among America’s largest iconic brands. Wooing Customers Back presents three essential keys to overcoming and rapidly improving customer service. It is written especially for front-line employees, supervisors and managers. 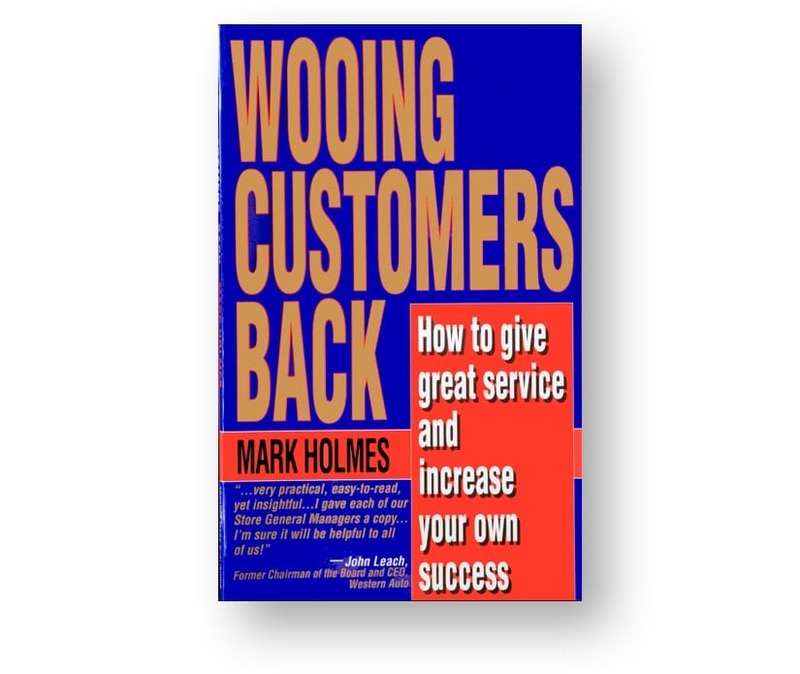 Based on over ten thousand customer mystery shopping experiences and proprietary surveys conducted by Mark’s company, the insights in Wooing Customers Back are timeless, and remain highly relevant to the challenges of employing and training a younger generation. Chick-fil-A, ServiceMaster, Starbucks, Dunkin’ Donuts, Western Auto, Auto Zone, Tire America, Sears, Tracker Marine, Wellington Boats, Bass Pro Shops, Silver Dollar City, Perkins, KFC and many more. Ideally Suited For: New employees, seasoned professionals, managers or supervisors desiring practical tips to deliver great service and increase their own success.